Final Lineup for TDawg’s Back Porch Hootenanny, April 5-6!! The lineup is as follows (and is always subject to change): The Ragbirds, Strung Like a Horse, Rev. Jeff Mosier, Caroline Aiken, Bibb City Ramblers, Scott Warren & The Booze Moutaineers, Red Clay Revival (FRI), and Nothing & The Nobodies (FRI). Advance tickets are available through the Hootenanny page at tdawgpresents.com. FRI-SAT passes will be $55 at the gate, $45 for SAT ONLY, and $35 for a SAT day pass. Kids 12 & under are admitted FREE, ages 13-16 for $20. 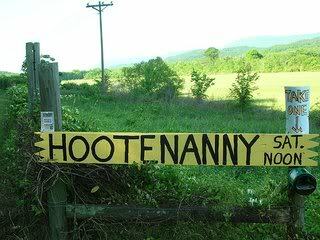 For more information, links, and videos, please visit the Hootenanny page. We also have an event page on FaceBook. Folks, we’re gonna have ourselves a freakin’ great time! ← Benefit for Atlanta Neighborhood Charter School, Feb 9!